No matter which track you go to, the Bone Stocks are always there putting on a show with some of the craziest racing that you’ll probably witness throughout the entire night. As a result, you see more drivers joining the fray each year. That showed in the first edition of their Silly Season Portal with plans revealed for five drivers. Brandon Burnett reached out to STM to confirm that he plans will be running a full schedule, with the intent of chasing after a championship at Sunset Speedway. In a way, he called it the redemption year for Jewb MotorSports following a couple fumbles during the back half of the year. Recall, Burnett showed potential at Sunset Speedway as he was able to score a victory mid-season. 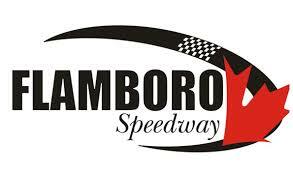 Sunset Speedway fans also got to know Jason D’Antimo in the Mini Stock division last year. The family’s involvement in racing is expanding with Ryan D’Antimo hard at work building a 1998 Dodge Neon Couple to run in the Bone Stock division. The photos below were sent along from George D’Antimo to showcase the team’s progress.